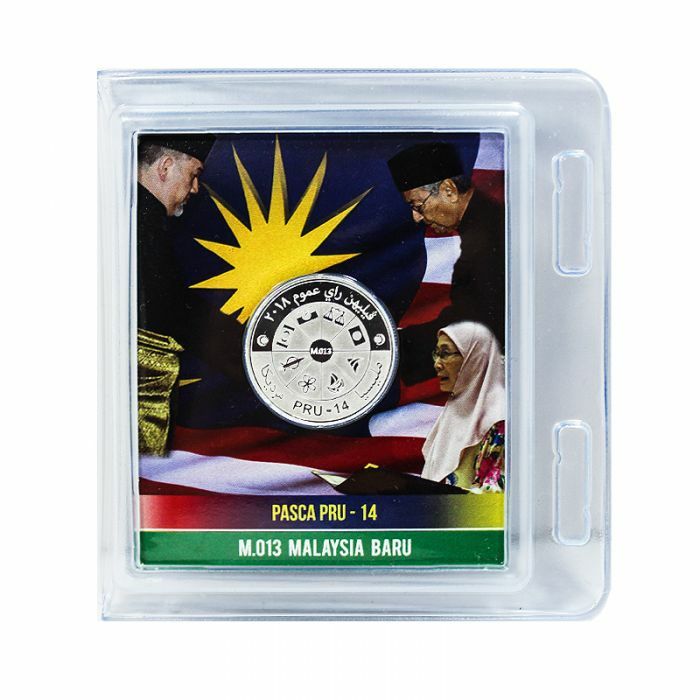 This double 1 Dirham PRU14 silver coins with pictures and result of PRU14 are sealed together in a plastic blister to commemorate the outcome of Malaysia’s 14th General Election. The observe of the coin carries the words “General Election 2018” & “Independent Malaysia” in Malay using Jawi text and “PRU - 14”. There are 8 symbols on the coin each representing a major party contested in the general election. The number at the very centre of the coin is the constituency number that these two coins were designated. 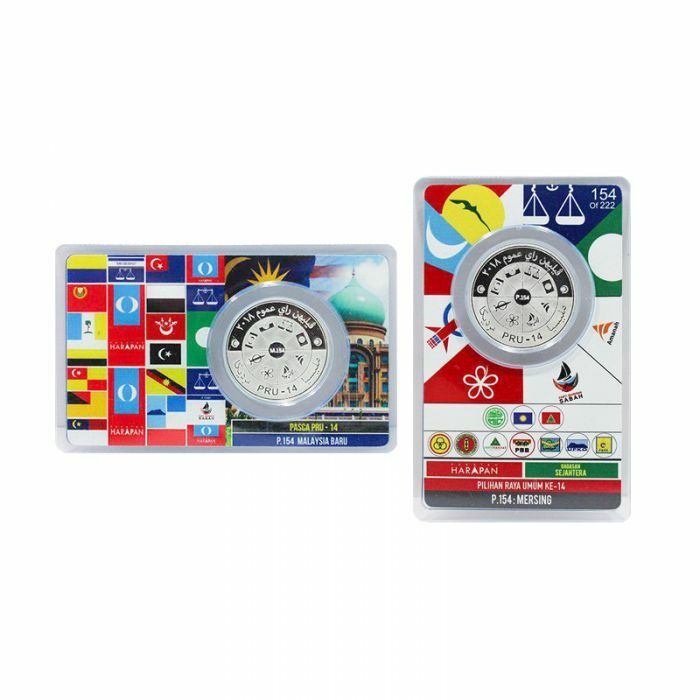 The reverse of the coin carries the coat of arms of Malaysia and the words “Putrajaya Malaysia” & “Dirham Pure Silver 999”. The front picture is the signing ceremony of the new Prime Minister with his deputy. 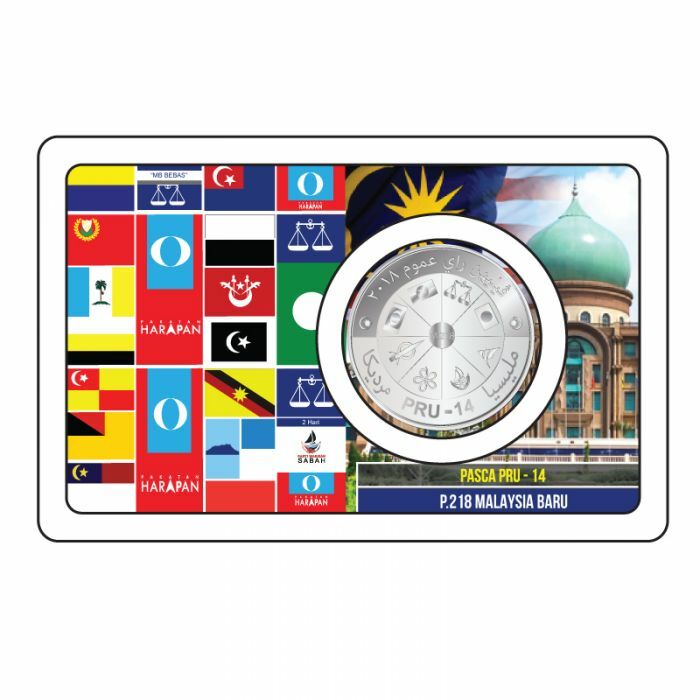 The second page is the Prime Minister Office in Putrajaya and the specification of the coin. The third picture is the line up of the first minister set up and approved by the King. The fourth picture is the parliamentary debating hall with the actual election results. It's the fight of the century! The final round between Malaysia's longest reigning premier and his maligned successor. 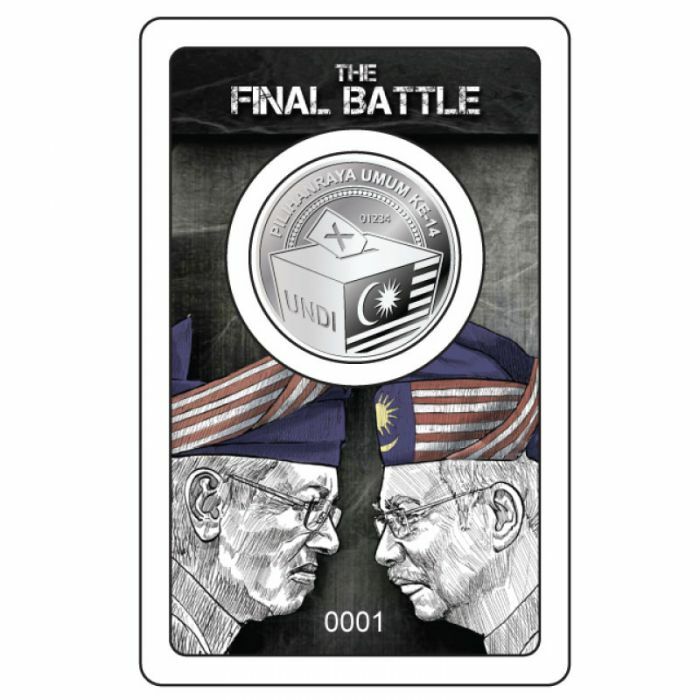 It's master vs apprentice, commemorated with our limited edition 999 pure silver 1/10 Oz design. Grab this once in a lifetime memento today! We witnessed the birth of a 'New Malaysia', and a revitalization of the Malaysian spirit. 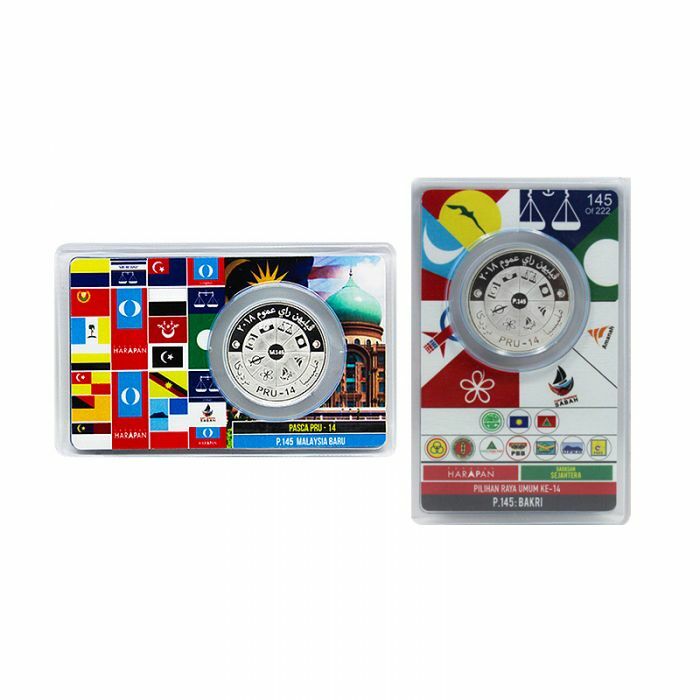 To celebrate this stunning moment, QC Dirham brings you the inevitable sequel to their 14th General Election series, the Pasca PRU-14 (Post 14th General Election) series of Dirham coins. 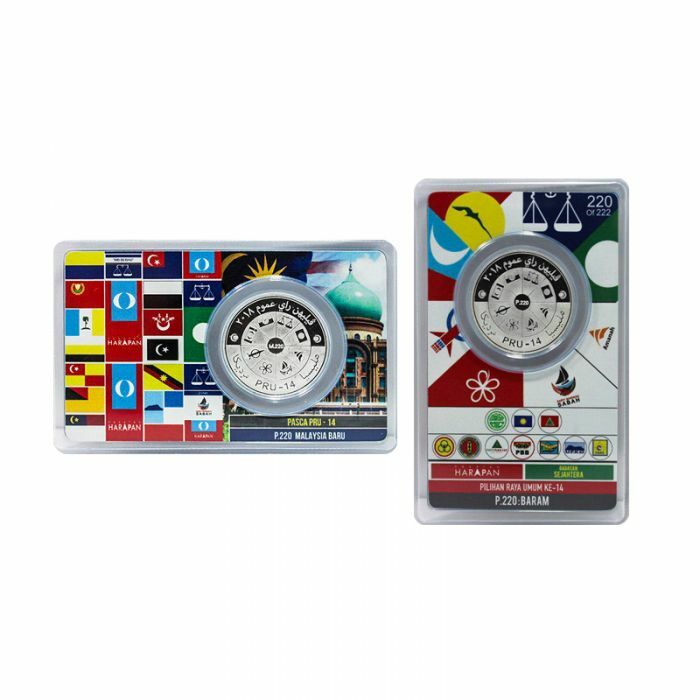 Each serial number is unique and corresponds to each of the specific district codes in the series. Once this Labuan silver Dirham is gone, its gone! Better hurry!